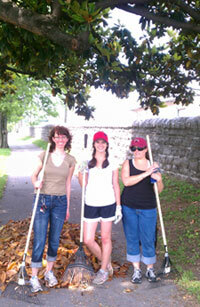 Volunteers play a key role in helping keep the cemetery beautiful. Where in our fair city can you literally take a stroll through Nashville’s history? Meander down the quaint lanes of the Nashville City Cemetery, and you will begin to feel that you have stepped back in time – all the way back to 1820. Buried on these peaceful grounds in the middle of the city are Revolutionary War and Civil War soldiers, 15 mayors of Nashville, one Tennessee governor, two of the original Fisk Jubilee Singers, many enslaved and free persons of African descent interred prior to the Civil War, and many others who played important roles in the story of our city’s past. For history devotees, the opportunity to help preserve the oldest continuously operated public cemetery in Nashville is an honor and delight. 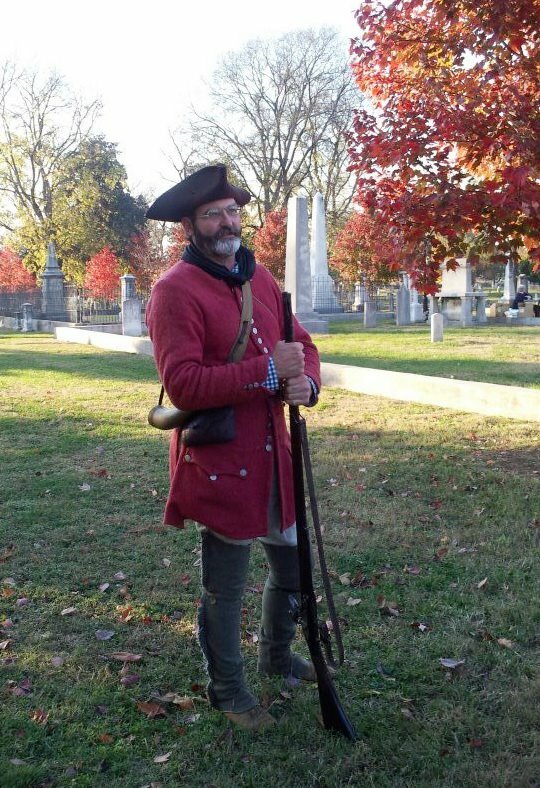 “I love history, and being able to have a hands-on experience in preserving it is truly gratifying,” says Liz Parrott, a devoted volunteer and member of the Nashville City Cemetery Association board of directors. Volunteers help raise awareness for the Nashville City Cemetery. Here you see one reenacting a war hero whose remains were buried on these grounds. Volunteers are essential for this membership organization that works to protect, preserve, restore, and raise public awareness for the Nashville City Cemetery in collaboration with the Historical Commission of the Metropolitan Government of Nashville and Davidson County. Enthusiastic and willing volunteers help the organization by staffing fundraising and educational events, and by helping to keep the cemetery beautiful and welcoming for visitors to come and learn the history of the people buried there, and to see their relatives’ resting place. On August 11, September 8, and October 6, volunteers will clean up the cemetery grounds by raking, picking up trash, sweeping off the tombstones, picking up branches, etc. The October cleanup is especially important – many volunteers are needed as the grounds will be prepared for the Living History Tour taking place the following weekend. > Sign up for the Aug. 11 cleanup day. > Sign up for the Sept. 8 cleanup day. > Sign up for the Oct. 6 cleanup day. Volunteers are needed to assist as tour guides, at admissions, etc. During the tour, certain historical figures who are buried at the cemetery are portrayed by actors who tell their stories to visitors. > Volunteer for the Living History Tour.